Meticulously crafted in Intrecciato nappa leather, this compact and functional bi-fold wallet will grow more beautiful with age. 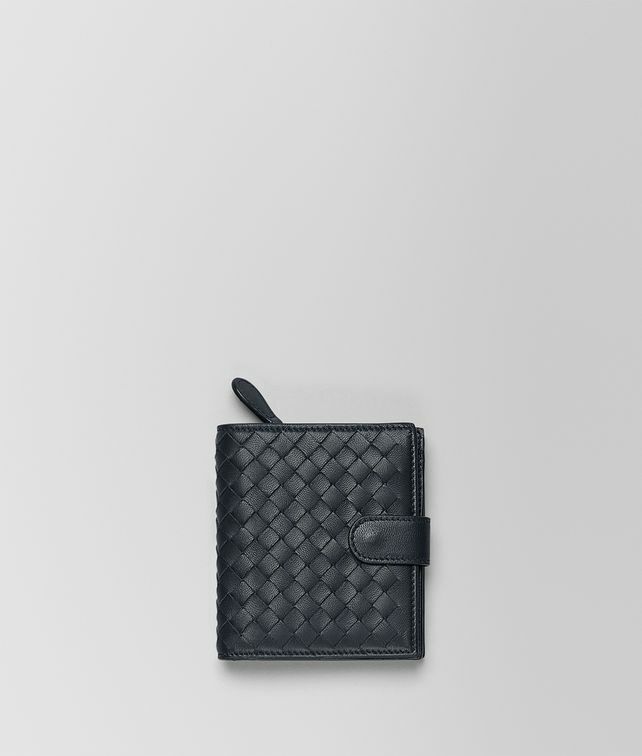 With a sheer leather interior and subtle, embossed branding, the design features 1 bill compartments, 8 credit card slots, 2 receipt compartments and a handy zip pocket for coins. Comes with a brunito-finish stud closure.